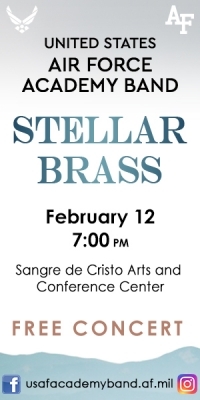 The United States Air Force Academy Band “Stellar Brass” from Colorado Springs will perform a free concert at Sangre de Cristo Arts and Conference Center in Pueblo, CO on 12 February 2019 at 7:00 PM. The evening will feature an eclectic mix of music from Americana and patriotic favorites to unique twists on the classical repertoire by this energetic 6-piece ensemble. 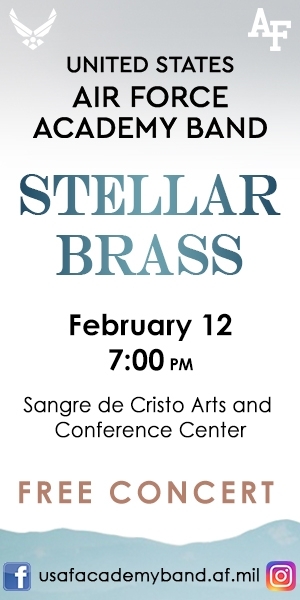 The concert is free and open to the public; no tickets required.